The SCI is the only Indian shipping company providing overseas Liner Break-bulk services to the Indian trade. 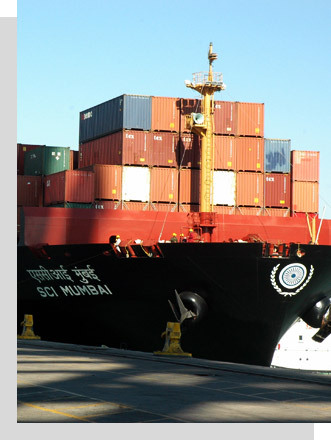 The SCI is the only Indian shipping company providing overseas Liner Break-bulk services to the Indian trade. The SCI arranges carriage of Break-bulk cargoes on a space charter basis from various regions across the globe including USA and Far East. This is offered for imports and exports in & out of India, which include shipments of Over-Dimensional Cargoes (ODC)/ Project cargoes/Heavy Lift cargoes/IMO Class I Cargoes and containers. The SCI continues to operate its India-UK Continent Break-bulk service regularly from European ports to India on a space sharing basis.